I have been a Winston-Salem Police Officer since April 2013. I knew from day one I wanted to be a Motor Officer. 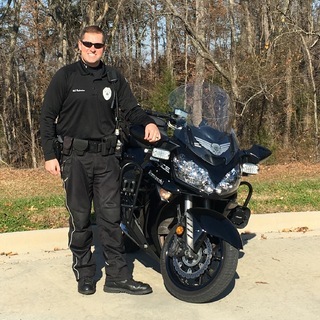 I joined the Motor Unit in March 2016. My inspiration to ride motorcycles came from my father. He grew up riding motorcycles and bought me my first dirt bike when I was 10 years old. When I was 18 years old he bought me my first motorcycle and we frequently rode together. He has recently passed away and everyday I strive to be the best Motor Officer I can be.